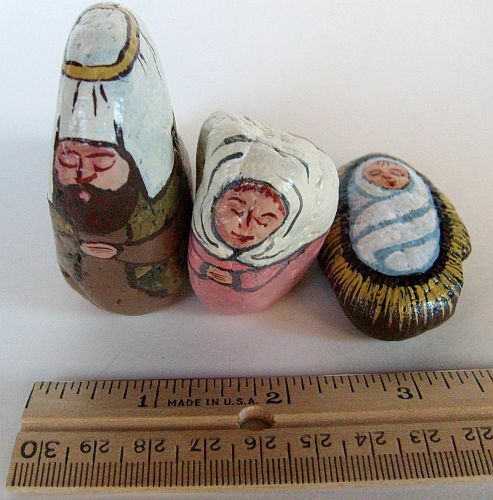 The Colorado rocks used for these nativity scene figures are slightly pitted. 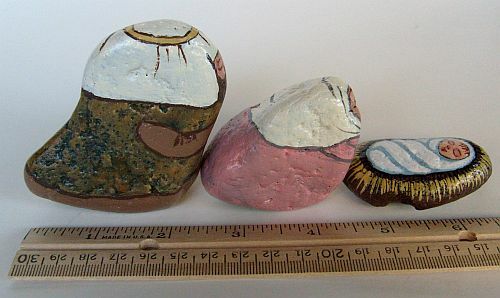 I call this nativity set "Rose Garden" because of the paint colors I used. Mary's robe is painted with "Sweetheart Roses" acrylic paint. Her headscarf is "Buttermilk." 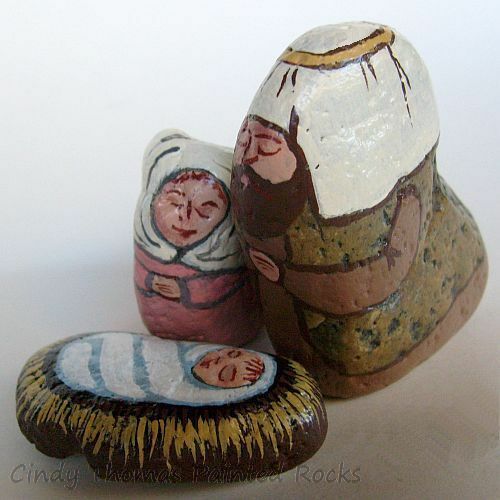 Joseph's robe is painted with "Garden Path" acrylic paint. 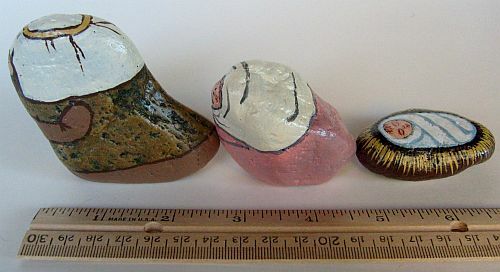 His vest is left unpainted so the natural rock color is exposed. His headscarf is "Buttermilk" with a "Yellow Ochre" headband. 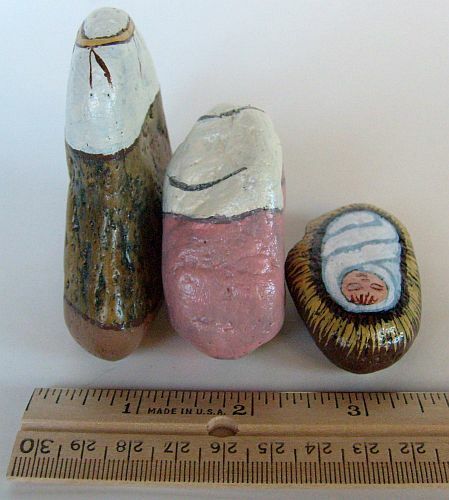 Baby Jesus swaddling clothes are painted with "Sky Blue" and "White" acrylic paint. The manger is painted with "Earth Brown" acrylic; the straw is "Yellow Ochre" acrylic.